In Mead v. Reliastar Life Ins. Co., 11-192-CV, __ F.3d ___, 2014 WL 4548868 (2d Cir. Sept. 16, 2014), the court, in a per curiam decision, determined that Reliastar’s appeal of the district court’s remand order should be dismissed due to lack of appellate jurisdiction because the remand order was not an immediately appealable final decision under either the traditional principles of finality or the court’s precedents governing remands to administrative agencies. The district court had determined that Reliastar’s denial of the plaintiff’s long-term disability benefits was arbitrary and capricious and remanded the matter to Reliastar to calculate benefits owed and to determine whether the plaintiff is disabled under the any occupation standard of disability. The court noted that the circuits are split on whether a remand to an ERISA plan administrator constitutes a “final decision.” A majority of the circuits (First, Fourth, Sixth, Eighth, and Eleventh) hold that because an ERISA remand order contemplates further proceedings before the plan administrator, it is not “final” and therefore may not be immediately appealed except when the familiar collateral order doctrine applies. A few circuits (Third, Ninth, and Tenth) have analogized ERISA remands to decisions remanding matters to administrative agencies and have imported into the ERISA context their precedents governing the finality of administrative remand orders, which permit immediate appeals in certain circumstances. The Seventh Circuit analyzes the finality of ERISA remand orders by reference to the statute governing remands to the Social Security Administration, which also permits immediate appeals in certain situations. In aligning with the majority of the circuits, the court noted that it has repeatedly expressed that under the general principles of finality, ERISA remand orders usually are not final because they require further action by the plan administrator. Notwithstanding the default position, the court has examined ERISA remand orders on a case-by-case basis to determine whether the particular facts presented indicate that a remand order may be appealable under an approach already established in a sister circuit. Lastly, the court has observed an important similarity between ERISA remand orders and orders remanding matters to administrative agencies-the practical realities that, like an administrative agency, an ERISA plan administrator that wishes to challenge a remand order may be unable to appeal after the proceedings on remand take place. The court declined to adopt a hard-and-fast rule that such orders are never immediately appealable in recognition of the reality that remands to ERISA plan administrators may take on a number of permutations. Instead, the court must examine the content of the particular ERISA remand order to determine its appealability. Joining four of the circuits, the court further held that, to preserve an ERISA plan administrator’s ability to obtain appellate review of a non-final remand order, it generally will interpret a district court’s remand order as having retained jurisdiction over the case such that, after a determination by the plan administrator on remand, either party may seek to reopen the district court proceeding and obtain a final judgment. The court decided to leave for another day the question of whether the circuit’s case law governing the finality of administrative remands permits an immediate appeal by an ERISA plan administrator when the district court’s remand order cannot be construed as having retained jurisdiction over the case. Court Dismisses Claim that Insurer Violated ERISA by Rescinding Medical Benefit Policy Due to Non-Disclosure of Pre-existing Medical Conditions. In Salvatore v. Blue Cross of Ne. Pennsylvania, 3:13-CV-02975, 2014 WL 4626849 (M.D. Pa. Sept. 15, 2014), the plaintiff alleged, among other counts, that Blue Cross violated her rights under the medical benefit plan by deciding to rescind the entire policy rather than pursuing alternative remedies where the plaintiff failed to disclose certain pre-existing medical conditions in her application for coverage. The plaintiff argued that Blue Cross should have chosen to retroactively increase her policy rates instead of rescinding, relying on Eighth Circuit case law which permits but does not require retroactive rescission of an ERISA employee benefit plan when the policyholder makes innocent material nondisclosures during the enrollment process. Although this case has never been adopted by the courts of the Third Circuit, it nonetheless is consistent with the general law of fiduciaries under ERISA, which requires, among other things, that a fiduciary discharge his duties with respect to a plan solely in the interest of the participants and beneficiaries and for the exclusive purpose of providing benefits to participants and their beneficiaries. However, the plaintiff has not alleged that the benefit plan makes alternative remedies available or that Blue Cross had the power under the terms of the plan to retroactively and unilaterally change the policy rate and then bill for the balance. The court noted that it is possible that the policy gives Blue Cross the power to do this, and, if so, it is arguable that a retroactive increase in premiums would have better accorded with Blue Cross’s fiduciary duties than rescission. Absent any allegations that such policy terms exist, the court found that the complaint did not adequately allege an ERISA violation and dismissed the claim without prejudice. Section 1132(a)(3) Claim for Breach of Fiduciary Duty Dismissed Where Plaintiff Seeks Same Relief under Section 1132(a)(1)(B) and Factual Averments Overlap. InGreene v. Hartford Life & Acc. Ins. Co., CIV.A. 13-6033, 2014 WL 4473725 (E.D. Pa. Sept. 10, 2014), the plaintiff brought an ERISA Section 1132 (a)(1)(B) claim and a Section 1132 (a)(3) claim for breach of fiduciary duty in connection with Hartford’s denial of the plaintiff’s life insurance benefit claim. Hartford moved to dismiss the Section 1132 (a)(3) claim, arguing that the plaintiff can obtain full relief under Section 1132(a)(1)(B) and that Section 1132(a)(3) only provides for equitable relief when the ERISA statute does not provide an adequate remedy elsewhere. The court noted that the Third Circuit has not addressed the question directly, and courts within this Circuit have reached different conclusions. See e.g., Parente v. Bell Atlantic Pennsylvania, 2000 WL 419981 (E.D. Pa. Apr.18, 2000) (holding that Varity does not preclude claims under Section 1132(a)(3) when a plaintiff has a viable claim under another provision that could provide relief, but only when another provision will certainly provide relief); Cohen v. Prudential Ins. Co., 2009 WL 2488911 (E.D. Pa. Aug.12, 2009) (holding that relief is only available under Section 1132(a)(3) if the plaintiff can demonstrate that Section 1132(a)(1)(B) alone may not provide an adequate remedy). The court determined that the plaintiff’s claims factually overlap and seek precisely the same remedy so even if Varity does not establish a bright line rule precluding simultaneous Section 1132(a)(3) and Section 1132(a)(1)(B) claims in all cases, it can find no way to construe the plaintiff’s Section 1132(a)(3) claim such that it might provide “other appropriate equitable relief” for a violation that the ERISA statute does not elsewhere remedy. The plaintiff contended that the counts are based on separate and independent factual averments, each giving rise to the defendant’s liability. 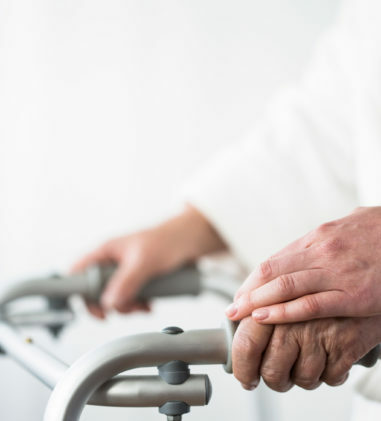 Count II alleges that the plaintiff was eligible for benefits at the time of her death, having provided one month of continuous service, and therefore her claim was wrongfully denied. 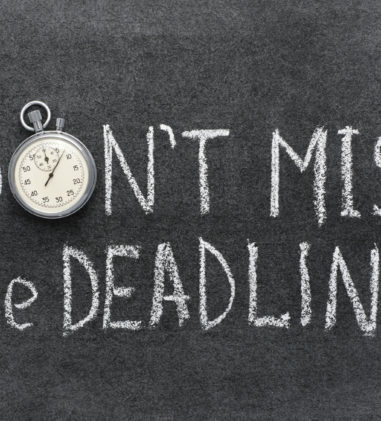 Count III alleges that Hartford breached its fiduciary duty as administrator of the plan by, among other things, failing to investigate the change to the last day physically at work date on the revised initial claims forms. The court determined that while the averments language supporting the two counts differs to some degree, both require a showing that the plaintiff’s claim was wrongfully denied. Thus, if the plaintiff proves the Section 1132(a)(3) breach of fiduciary claim as stated, he will necessarily have demonstrated that he was due benefits under the plan, entitling him to relief under Section 1132(a)(1)(B). The two counts also seek the same relief: $285,000 owed under the plan, fees and costs, and other relief as the court deems fit. As such, the court dismissed the plaintiff’s Section 1132(a)(3) claim. Court Finds MetLife’s Denial of AD&D Benefits Was Not an Abuse of Discretion where Decedent Was Intoxicated at Time of Death. In McGinn v. Metro. Life Ins. Co., CIV.A. 11-3025, 2014 WL 4443487 (E.D. La. Sept. 9, 2014), the court determined that MetLife did not abuse its discretion in denying Accidental Death and Dismemberment Insurance benefits pursuant to the “Exclusion for Intoxication” provision where the decedent’s blood alcohol content was 0.37%, over four times the legal limit in Louisiana. The beneficiary objected to MetLife’s determination based primarily on the coroner’s report that the decedent lived for thirteen hours before he died from lack of medical attention. The beneficiary argued that the decedent would have survived if medical attention had been timely and provided a medical opinion supporting this claim. As such, the presence of alcohol in the decedent’s blood stream played no role in the decedent’s demise. 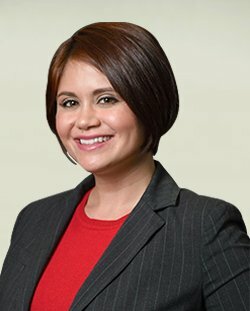 MetLife sought the opinion of Dr. Elyssa Del Valle, who concluded that, within a reasonable degree of medical certainty, it can be determined that the decedent’s injuries were such that he would have died shortly after the crash and there would not have been any time at all to treat his life threatening injuries. With respect to the coroner’s report, Dr. Del Valle stated that the time of death given by the coroner was the time he was found, not the time of his actual death. He was in full rigor as of the time of the autopsy. Dr. Del Valle concluded that he died at the time of the accident. The Chief Investigator of the coroner’s office confirmed in a telephone conversation that the coroner’s office cannot by law speculate what the time of death may have been, but can only indicate the date and time of when the decedent’s body was observed and pronounced. Based on the facts presented in the administrative record, the Court found that MetLife’s conclusion that the decedent’s intoxication contributed to his death is supported by Dr. Del Valle’s report, which is a piece of concrete evidence that clearly supports the basis for its denial. Furthermore, the plaintiff’s doctor’s report and opinion are undermined by their reliance on the time of death listed on the coroner’s report, which clearly corresponds with the time that the decedent’s body was discovered and which the coroner’s office stated was not representative of an actual time of death. Court Awards Attorneys’ Fees to Successful Plaintiffs in Retiree Insurance Benefit Class Action. In Gallo v. Moen, Inc., 1:13-CV-02440, 2014 WL 4472630 (N.D. Ohio Sept. 11, 2014), the court awarded attorneys’ fees to the successful plaintiffs who successfully litigated a class action challenging the termination of retiree insurance benefits. The Sixth Circuit has identified five factors that a district court should consider in determining whether an award of attorney’s fees and costs is appropriate under 29 U.S.C. § 1132(g)(1). These factors are: (1) the degree of the opposing party’s culpability or bad faith; (2) the opposing party’s ability to satisfy an award of attorney’s fees; (3) the deterrent effect of an award on other persons under similar circumstances; (4) whether the party requesting fees sought to confer a common benefit on all participants and beneficiaries of an ERISA plan or resolve significant legal questions regarding ERISA; and (5) the relative merits of the parties’ positions. The defendant disputed only the first and third factors. With respect to the first factor, the court found that the defendant’s behavior was culpable because the collective bargaining agreements and the plant termination agreement unambiguously indicate intent to vest the retirees’ insurance benefits. 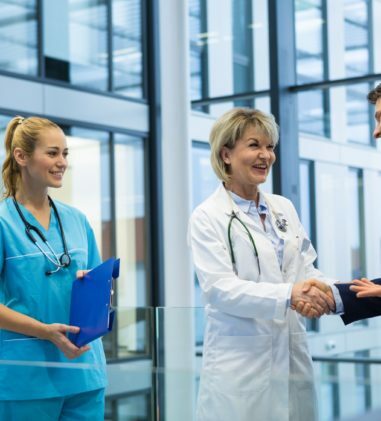 The collective bargaining agreements’ reservation of right to modify coverage fails to overcome this conclusion because those provisions applied to employees, not retirees, and those terms were used disjunctively in various parts of the agreements. 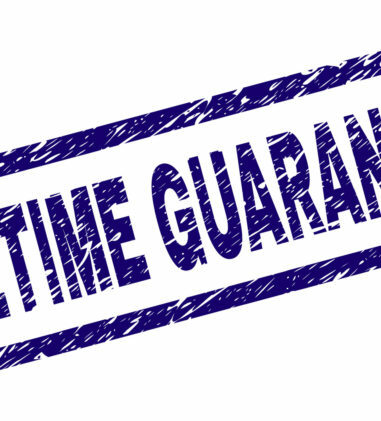 Additionally, the reservation was limited by a requirement that benefits be maintained; effectively limiting the defendant’s right under the provision to a right to change its insurance carrier. Even if the agreements were ambiguous, the court determined that extrinsic evidence would clarify that the retirees’ insurance benefits had vested. The fact that defendant continued to pay for the retirees’ benefits for extended periods of time suggests an understanding that the benefits were vested. With respect to the deterrent factor, the court found that there may be some deterrent effect to companies in defendant’s position in the future but that the relative size of the benefit obligations at stake and the attorneys’ fees may mitigate this effect to some degree. The court concluded that the possibility of deterrence counsels weakly in favor of an award. After considering each of the other factors above, the court determined that an award of fees was justified. With respect to the reasonableness of the time expended, the court made the following notable findings: 1) Although the plaintiffs’ attorneys block billed some of the tasks performed on the case, the court declined to reduce the fee award on that basis because it was able to determine that the time spent on the activities was reasonable; 2) fees for time spent at a deposition by a second attorney who did not ask any questions was granted where the second attorney had taken other depositions in the case, conferred during breaks with the main attorney, and the defendant had at least two and sometimes more lawyers present at every deposition; 3) fees for arguably “administrative or clerical work” was granted where the court determined that organizing a file in preparation for trial can be an effective method of trial preparation, rather than merely the alphabetical or chronological reordering of papers. The court granted the plaintiffs’ request for $765,620 in attorney’s fees, which included approved hourly rates of $550, $525, and $300 for the plaintiffs’ attorneys. The court disallowed costs in the amount of $2,244.00.49, where the plaintiff’s filings provided scant information about these charges, including no information of the date incurred, the documents copied, the recipients of the documents, or the price per page. Court Denies Dismissal of Fund’s Claim that Investment in Bonds Issued by Lehman Brothers Violated ERISA’s Fiduciary Obligations. In United Food & Commercial Workers Int’l Union-Indus. Pension Fund v. Bank of New York Mellon, 13 CV 4484, 2014 WL 4627904 (N.D. Ill. Sept. 16, 2014), the court denied the Bank of New York Mellon’s motion to dismiss the complaint by the Fund, where the complaint alleged that the defendant breached its fiduciary obligations imposed by ERISA, by acting in its own self-interest, and by investing imprudently. Under its “securities lending program,” BNY Mellon loaned securities that were owned by the Fund to third-party borrowers. The borrowers posted collateral for the loans, which BNY Mellon invested. The borrowers were guaranteed a rate of return; additional investment gains were split between the Fund and BNY Mellon. If the investments earned insufficient gains, the Fund had to replenish the pool of collateral, so that collateral could be returned to the borrowers when they returned the Fund’s securities. Essentially, the complaint alleged that while BNY Mellon shared in the upside benefits of the collateral investments, it bore none of the downside risk. In March 2007, BNY Mellon used the cash collateral to purchase a $20 million bond note issued by Lehman Brothers Holdings, Inc. The Fund alleged that, at the time of its purchase, the Lehman Note was substantially exposed to real estate and subprime stress and that BNY Mellon knew or should have known that Lehman was heavily invested in securities linked to the subprime mortgage market, which was known to be in crisis during 2007 and afterwards. After the Lehman Note declined in value, the Fund alleged that BNY Mellon made no effort to mitigate the Fund’s losses by selling part or all of the Lehman Note because they followed a “buy and hold” approach and did not adequately monitor investments. In Count I, the Fund alleges that BNY Mellon violated 29 U.S.C. § 1104 by failing to diversify the investments, and states that the Lehman Note constituted approximately 5% of the collateral pool. The court found that the allegations that BNY Mellon failed to diversify the investments, or failed to follow the plan documents, fail to state a claim, but the Fund’s allegations concerning BNY Mellon’s diligence and loyalty are more substantial. The court found that the Fund states a claim by alleging that purchasing the Lehman Note was imprudent at the time of purchase because its relatively longer term and lower liquidity were inconsistent with the purpose of the securities lending program. The Fund’s allegations of a lower liquidity relative to the purposes of the securities lending program and BNY Mellon’s duty of prudence are sufficient to state a plausible claim, subject to actual proof at a later stage. The court also found that the Fund states a claim by alleging that BNY Mellon failed to monitor the investment and reevaluate its prudence because the Fund alleged more than just that BNY Mellon made an investment that lost money. The court noted that other courts have denied motions to dismiss under like circumstances. Regarding Count II, the court found that the Fund plausibly alleges that BNY Mellon engaged in prohibited transactions in violation of 29 U.S.C. § 1106(b) by investing the collateral on behalf of itself and in its own interest, rejecting BNY Mellon’s argument that an affirmative “transaction” is required but not plausibly alleged. Court Upholds Denial of Short-Term Disability Benefits. In Richardson v. Fed. Exp. Corp. Short Term Disability Plan, 2:13-CV-200-TLS, 2014 WL 4494280 (N.D. Ind. Sept. 11, 2014), the court found that defendant Federal Express Corporation Short Term Disability Plan did not act arbitrarily and capriciously when it denied short-term disability benefits to the plaintiff on the basis that his eligibility for coverage ended when he ended his leave of absence from his full-time courier job and accepted a material handler position that his employer did not consider to be a full time position. The court rejected the plaintiff’s position that his attempt at performing the material handler position did not render him ineligible because he held the position as part of the defendant’s Temporary Return to Work Program, and he never lost his full time status. The court found that the record did not support his claim that the part-time position was part of the Temporary Return to Work Program. The court also found that it was not improper for the defendant to rely on the post-appeal alteration of the plaintiff’s records to determine his employment status since FedEx, and not the plan administrator, was responsible for determining the plaintiff’s employment status. And, according to FedEx, it merely updated the plaintiff’s records to reflect his actual work status as a part-time employee. Court Dismisses Claim for Breach of Fiduciary Duty and Disgorgement of Profits. InHalley v. Aetna Life Ins. Co., 13 C 6436, 2014 WL 4463239 (N.D. Ill. Sept. 10, 2014), the plaintiff’s amended complaint included a count for the denial of his long-term disability benefits under Section 502(a)(1)(B) and a count for breach of fiduciary duty and disgorgement pursuant to Section 502(a)(3) based on the denial of his benefits. Aetna moved to dismiss the breach of fiduciary duty claim. The court determined that the plaintiff cannot maintain a Section 502(a)(3) claim for an injury for which remedies exist under Section 502(a)(1)(B) and granted Aetna’s motion. The court interpreted Varity Corp. v. Howe, 516 U.S. 489 (1996) to stand for the proposition that if a remedy is available under § 502(a)(1)(B), a court should not find it appropriate to grant additional equitable relief under Section 502(a)(3). The court acknowledged the pending rehearing en banc of Rochow v. Life Ins. Co. of N. Am., 737 F.3d 415 (6th Cir.2013) but determined that the possibility that the Rochow decision may be reinstated does not alter the Supreme Court and Seventh Circuit’s current view of duplicative Section 502(a)(3) claims or this court’s mandate to follow its own Circuit’s precedent. Insurer Abuses Discretion by Conflating Denial of Short-Term Disability Benefits with the Long-Term Disability Benefit Claim Decision. In Johnson v. Mut. of Omaha Life Ins. Co., CIV. 13-1708 ADM/SER, 2014 WL 4449665 (D. Minn. Sept. 10, 2014), the court determined that Mutual of Omaha abused its discretion in determining the plaintiff’s long-term disability claim because it did not analyze the evidence in the record to determine if the plaintiff is entitled to LTD benefits. The plaintiff had taken a leave from work starting May 3, 2011 through June 20, 2011 following her 13-year-old son’s death in a tragic accident. Mutual of Omaha denied the plaintiff’s claim for short-term disability benefits because it was not clear she suffered from a significant change in mental functioning. The plaintiff returned to full-time work on June 21, 2011 and her benefits with the employer were reinstated. Beginning December 1, 2012, the plaintiff claimed disability based on Adjustment Disorder with Depressed Mood. Mutual of Omaha determined that since her date of disability occurred within 12 months of the date her benefits were reinstated, that her claim was subject to a Preexisting Conditions review for the period from March 21, 2011 to June 21, 2011. 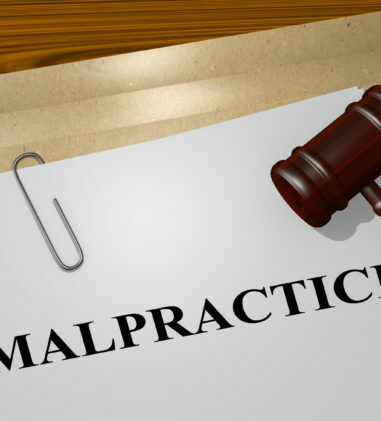 Mutual of Omaha determined that the plaintiff’s first leave was not covered by the FMLA and she was not in a vacation or sick leave status with the employer. Thus, she did not meet the policy’s coverage eligibility criteria. Mutual of Omaha failed to consider evidence that, notwithstanding its denial of STD benefits, the plaintiff was entitled to continued coverage based on disability from May 3, 2011 to June 21, 2011. Additionally, the employer attested to and clarified that it viewed the plaintiff’s time off of work as an approved “leave of absence.” Relying heavily on its STD benefits determination, Mutual of Omaha failed to review the plaintiff’s case fully and fairly, and jumped to the conclusion she was not entitled to continuation of coverage. The court determined that it was an abuse of discretion for Mutual of Omaha to conflate its first STD denial with its LTD decision. 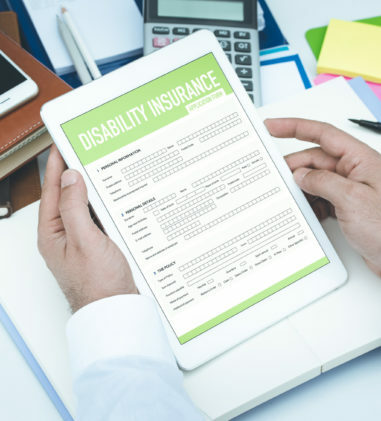 Assuming it considered all evidence in the record and still concluded the plaintiff was not entitled to continued coverage because she was not disabled, the court found that the insurer’s plain language interpretation of the LTD policy’s active work requirements is unreasonable. 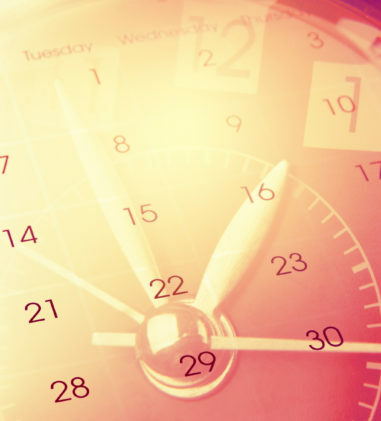 Mutual of Omaha’s interpretation of the policy language is that the plaintiff’s coverage ended when her paid leave ended and when she did not complete a work week of 30 hours. Under this interpretation, an employee who took an unpaid day off from work, such that his hours fell below 30, would be in danger of losing his coverage. The court found that this interpretation is not compatible with the words “regular” and “consistent” in the policy and that Mutual of Omaha abused its discretion by not considering these words in interpreting the plain language of the LTD Policy. Without information about what is considered a regular and consistent employee, the court declined to speculate further on the plaintiff’s entitlement to LTD benefits and remanded the matter back to Mutual of Omaha. Elimination of the Right to Transfer Account Balances from Defined Contribution Plan to Defined Benefit Plan Does Not Violate Anti-Cutback Rule. In Andersen v. v. DHL Ret. Pension Plan, 12-36051, 2014 WL 4494859 (9th Cir. Sept. 15, 2014), the defendants amended their defined benefit plan to eliminate the plaintiffs’ right to transfer their account balances from DHL’s defined contribution plan to its defined benefit plan. 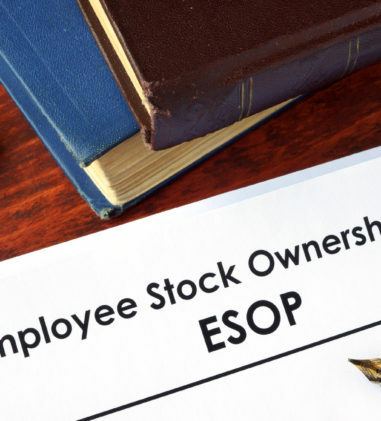 The plaintiffs argued that this elimination constituted a cutback in violation of ERISA’s “anti-cutback” rule, which prohibits any amendment of an employee benefits plan that would reduce a participant’s accrued benefit. Before the amendment challenged here, participants could transfer the funds from their Profit Sharing Plan accounts to the Retirement Income Plan’s general pool before the participant’s benefits were calculated. This transfer option, if exercised, provided increased funds for the Retirement Income Plan. It also allowed participants to drop their Profit Sharing Plan balances to zero, eliminating any offset when the benefit payable from the Retirement Income Plan was calculated. The Profit Sharing Plan was not amended; it continues to allow transfers to any eligible retirement plan that will accept them. 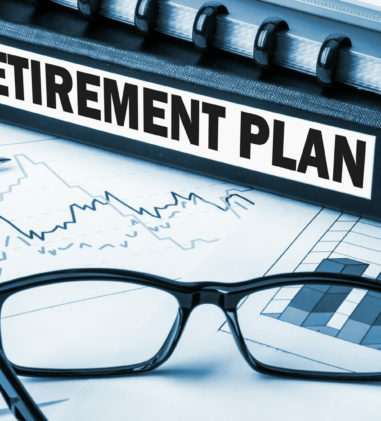 The elimination of the right to transfer these funds into the Retirement Income Plan caused many participants in the two plans to receive reduced overall periodic benefits. The government filed an amicus curiae brief taking the position that DHL’s elimination of the plaintiffs’ right to transfer their account balances was not a violation of the anti-cutback rule. DHL and the government contended that the elimination of the transfer option did not violate the anti-cutback rule because in neither plan was the participant’s accrued benefit reduced or eliminated. Looking at the Retirement Income Plan document itself to determine what “accrued benefit” means in the context of that plan, the court determined that the amendment did not change the formula for calculating benefits because they are, and have always been, calculated on the basis of a participant’s final average compensation and years of service, with an offset for an attributed annuity amount based on the participant’s account balance, if any, in the Profit Sharing Plan. Moreover, the transfer option’s placement in the “Payment of Benefits” section, rather than the “Accrued Benefits” section, further demonstrates that the amended section describes something other than an “accrued benefit.” The court also found that neither an Internal Revenue Service Ruling discussing a floor-offset plan’s minimum vesting requirements nor 26 U.S.C. § 414(k), which defines accrued benefit, indicate that the transfer option described in the Plan should be considered part of the “accrued benefit” under the particular terms of DHL’s defined benefit plan. The court also determined that it need not decide whether the Retirement Income Plan’s acceptance of a transfer was an “optional form of benefit” to resolve this appeal because if it was not an optional form of benefit then DHL could have eliminated it and if it was an optional form of benefit, paragraph (2) of the anti-cutback statute explicitly authorizes the Secretary to waive its application for plan amendments eliminating an optional form of benefit. For these reasons, the court agreed with the district court that the amendment did not, as a matter of law, violate the anti-cutback rule. Court Finds Disability Claimant Entitled to LTD Benefits on De Novo Review. InBradford v. Life Ins. Co. of N. Am., 13-CV-3109-TOR, 2014 WL 4407703 (E.D. Wash. Sept. 8, 2014), on de novo review of the record, the court found that the plaintiff is disabled within the meaning of LINA’s policy and entitled to payment of long-term disability benefits. Pursuant to FRCP 52(a)(1), the court made the following findings of fact: 1) the court fully credited the opinions of the plaintiff’s treating physician who has treated the plaintiff for five years and whose opinions about the plaintiff’s ability are internally consistent, well-supported by detailed treatment notes, and grounded in personal observations over an extended period of time (the court found it significant that the doctor went out of his way to explain that, unlike other patients he had treated for allegedly debilitating back pain, the plaintiff was fully credible and was not “faking it”); 2) the court fully credited a Functional Capacity Evaluation (“FCE”) that limited the plaintiff to “occasional” sitting, standing and walking, with the caveat that these activities occur “less than 30 minutes at one time and less than one third of the work day;” 3) the court further credited a later FCE to the extent that it limited the plaintiff to occasional sitting, standing and walking and notes that the plaintiff frequently shifted his weight, exhibited an impaired sitting posture, and reported low back pain while sitting; 4) the court rejected the opinions of a paper reviewer, Dr. Ephraim Brenman, who inexplicably opined that the plaintiff has no restrictions to sitting, directly contrary to other evidence in the record; 5) the court rejected LINA’s vocational review because the jobs identified in the review do not account for the plaintiff’s sitting restrictions; 6) the court found it significant that the plaintiff was awarded Social Security disability insurance benefits in 2010 and LINA made no meaningful attempt to explain why it reached a different conclusion than the Social Security Administration regarding the plaintiff’s ability to maintain full-time employment and rejected LINA’s argument that it has more recent information than the SSA; 7) the court found that LINA’s justification for denying benefits cannot be squared with its earlier determination under the Own Occupation definition of disability that the plaintiff could not perform sedentary work, rejecting LINA’s contention that the record supports a finding that the plaintiff’s condition improved. Claims for Aiding and Abetting Breach of Fiduciary Duties and Civil Conspiracy Not Dismissed for ERISA Preemption. In Stevenson v. Schneider Elec. U.S.A., Inc., No. 13-CV-01609-PAB-KMT, 2014 WL 4460361 (D. Colo. Sept. 10, 2014), the plaintiff alleged that the defendant refused to complete a “Request for Employment Information” (“REI”) form that she needed in order to acquire substitute health insurance coverage through Medicare following her divorce and termination of health benefits under her former spouse’s plan. Additionally, she also alleged that the defendant has not entirely complied with a writ of continuing garnishment pursuant to the divorce action. The plaintiff’s amended complaint contained a claim for monetary judgment based on the failure to comply with the writ of garnishment, a claim for aiding and abetting breach of fiduciary duties, and a claim for civil conspiracy. The defendant moved to dismiss, arguing that her second and third claims were preempted by ERISA. The court dismissed the defendant’s motion to dismiss because it did not meet its burden of establishing the preemption defense. The amended complaint contains no mention of the defendant’s ERISA plan or facts upon which the defendant can establish the definitional elements of an ERISA plan. Although the amended complaint is vague concerning how the fiduciary duties underlying the plaintiff’s claims arose and contains few allegations that otherwise explain the factual basis for the claims, the defendant did not challenge the complaint on vagueness grounds. The court also declined to consider the plan documents and convert the motion to dismiss into a motion for summary judgment because the plaintiff did not explicitly reference the plan documents in the complaint. Court Determines that ERISA Section 1132(a)(2) Does Not Provide Pensioners with Individual Claims for Benefits under a Defined Benefits Plan. In Hurley v. Dyno Nobel, Inc., 2:08-CV-00415-RJS, 2014 WL 4443270 (D. Utah Sept. 9, 2014), a matter challenging the plan administrator’s calculation of pension benefits, the court determined, among other things, that the plaintiff’s claims should be dismissed because ERISA Section 1132(a)(2), Section 1109, and Section 1104 do not contemplate individual claims for benefits under a defined benefits plan. Section 1132(a)(2) provides that a civil action may be brought by a participant, beneficiary or fiduciary for appropriate relief under Section 1109. Section 1109 in turn states that any person who is a fiduciary with respect to a plan who breaches any responsibilities, obligations, or duties imposed upon fiduciaries shall be personally liable to make good to such plan any losses to the plan resulting from each such breach, and to restore to such plan any profits of such fiduciary which have been made through use of assets of the plan by the fiduciary, and shall be subject to such other equitable or remedial relief as the court may deem appropriate. 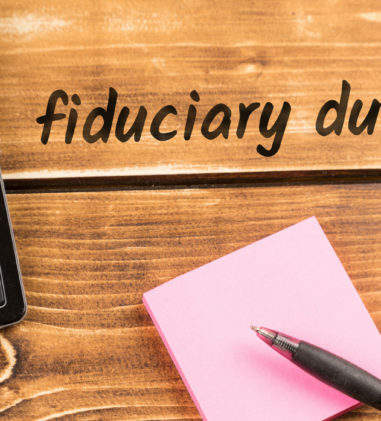 These responsibilities, obligations, or duties imposed upon fiduciaries are further defined in Section 1104, which explains that a fiduciary shall discharge his duties with respect to a plan solely in the interest of the participants and beneficiaries and in accordance with the documents and instruments governing the plan. The court relied on Varity Corp. v. Howe, 516 U.S. 489 (1996) and explained that the Supreme Court has held that Section 1109 and its companion remedial provision, subsection 1132(a)(2), were primarily concerned with the possible misuse of plan assets, and with remedies that would protect the entire plan, rather than the rights of an individual beneficiary. In this context, other equitable or remedial relief does not authorize any relief except for the plan itself. Forced Leave of Absence with Advice to Seek Disability Benefits under ERISA Plan Constitutes Adverse Employment Action under the ADA. In Turner v. United Parcel Serv., 2:13-CV-823-WMA, 2014 WL 4458917 (N.D. Ala. Sept. 10, 2014), an action involving disability discrimination under the ADA, the court found that the plaintiff’s forced leave of absence qualifies as an adverse employment action. The employer required the plaintiff to leave work with only the advice to seek short-term disability benefits, a process over which the employer had no control. If Aetna, the ERISA disability benefits administrator, denied the plaintiff’s claim, the leave would be unpaid, and even if the claim was approved, she would only receive 100% of her salary for thirteen weeks. The action referring her to her ERISA rights constituted a serious and material change in the terms of employment since she was forced to take leave that would have either been unpaid or underpaid, so this act qualifies as an adverse employment action. SSDI Award Not Relevant Where There Is No Conflict of Interest. In Fife v. Coop. Ben. Administrators, Inc., 4:12-CV-3602-VEH, 2014 WL 4470718 (N.D. Ala. Sept. 10, 2014), the court found in favor of the Plan in a matter involving a denial of long-term disability benefits. The court set forth its findings in a lengthy opinion. Of note is the court’s treatment of the plaintiff’s Social Security Disability Insurance (SSDI) award. The court determined that placed in context, the Supreme Court’s decision in Metropolitan Life Insurance Co. v. Glenn, 554 U.S. 105 (2008) only notes the relevance of an SSDI award when there is a conflict of interest. The court reasoned that all of the circuit court cases the plaintiff cited are “conflict” cases but since the court already determined that there is no conflict here, the SSDI award is not relevant. Further, even if it was relevant, the court found that the Appeals Committee did review the favorable SSDI decision. * Please note that these are only case summaries of decisions as they are reported and do not constitute legal advice. These summaries are not updated to note any subsequent change in status, including whether a decision is reconsidered or vacated. The cases reported above were handled by other law firms but if you have questions about how the developing law impacts your ERISA benefit claim, the attorneys at Kantor & Kantor LLP may be able to advise you so please contact us. Case summaries authored by Michelle L. Roberts, Partner, Kantor & Kantor LLP, 1050 Marina Village Parkway, Ste. 105 Alameda, CA 94501; Tel: 510-992-6130.